Experience the world of Tamriel on your own, or together with friends, guild mates, and thousands of other players. The award-winning fantasy role-playing series, The Elder Scrolls, goes online–with no game subscription required. Own the complete ESO story plus the first four DLC game packs with the newly announced The Elder Scrolls Online: Gold Edition. From Skyrim to Daggerfall, this pack allows you to explore the vast world of Tamriel in one package. Travel to Abah’s Landing to master the art of thievery with the iconic Thieves Guild, become a deadly assassin of the Dark Brotherhood in the Gold Coast, or ride to Wrothgar and aid the Orc King Kurog in rebuilding Orsinium. 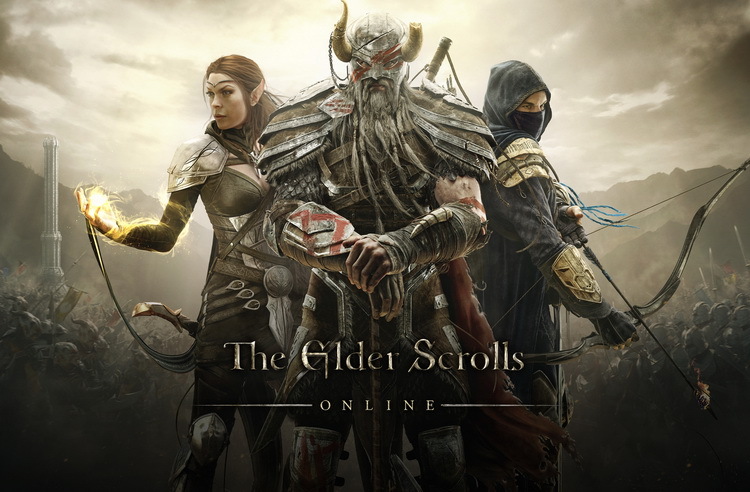 The Elder Scrolls Online: Gold Edition includes the following content: The Elder Scrolls Online DLC game packs: Imperial City, Orsinium, Thieves Guild, Dark Brotherhood, Palomino horse mount and 500 crowns to spend in the in-game Crown Store for new game accounts. The award-winning fantasy role-playing series, The Elder Scrolls, goes online–with no game subscription required.